It’s Friday morning, it’s summer, and yes, you guessed it, it’s time for another pastel yellow! 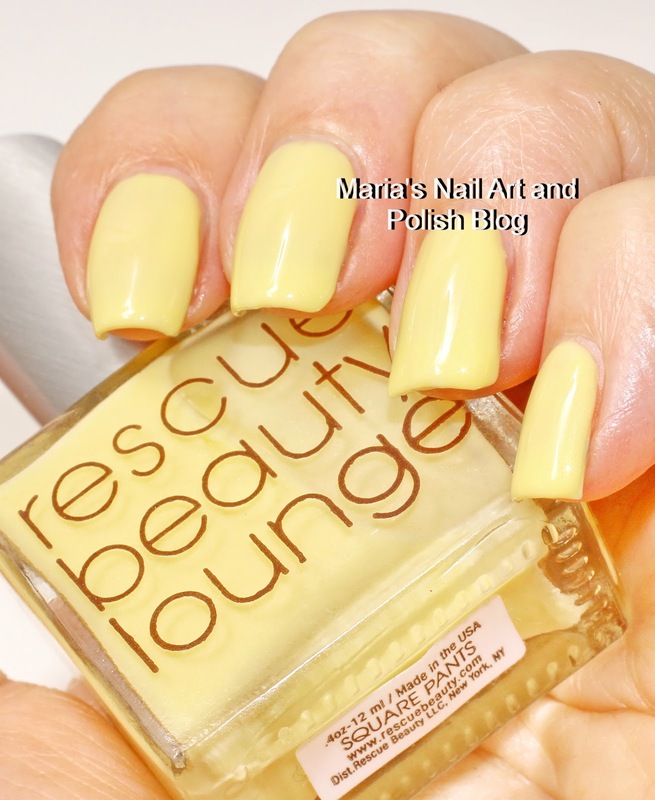 Rescue Beauty Lounge Square Pants is a beautiful pastel yellow with a subtle shimmer (not really seen with the naked eye). If the formula is sheer but otherwise 100% excellent and the color is pretty - are you OK with 5 coats...? 5 coats!! That is soo not ok. Love the color, but I think there are similare polishes with better formula. No, it isn't - but formula-wise (except for the sheerness) it is outstanding..
You are a patient woman LOL, but I see what you are saying about the time enough/being relaxed! OMG, 5 coater is fa too much for me. Shade is pleasant. It's a beautiful yellow, but 5 coats is definitely too much for me too. It is, but yes - too many coats! IT's a shame about the formula but the color is lovely! It is a pity it's sheer - otherwise it's perfect! I'm glad you like it, but please do not link spam! 5 coats! well that's too much for normal polish application, but the color is very beautiful. Wow! Colour is just lovely. That is beyond any doubt. I wouldn't bother with five coats, but I don't have problem with slightly VNL so I'd probably stick with three coats and be quite happy with it.